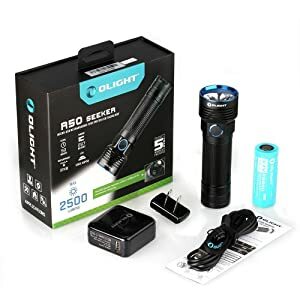 Affordable, efficient light output and much more runtime are the three things that you have to keep in mind when we discuss rechargeable flashlight. 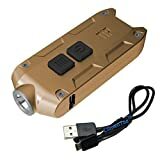 However, I have been seeing the increasing of comments asking about how to pick the best rechargeable flashlight on many traveling, hiking, tech forums. 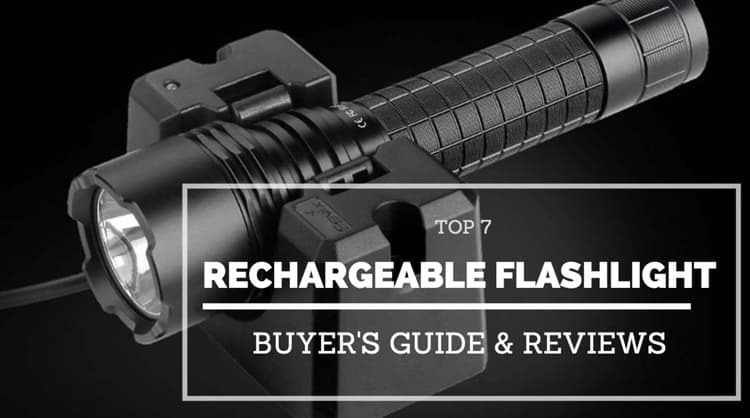 Now you are reading the article that will suggest you the top seven of the best rechargeable flashlights on the contemporary market, and how to purchase a suitable one for yourself in case you are not happy with the suggestion. I cannot force you to buy something which you know you will not be happy with, right? Here are the list of the top choices when it comes to the purchase of a rechargeable flashlight. You do not even have to read a long description for each product like some websites because I cover them with short briefs, the unique selling points, and more interesting parts: the pros and cons. That is right! I think these pieces of information must make your effort to decide the right product easier. 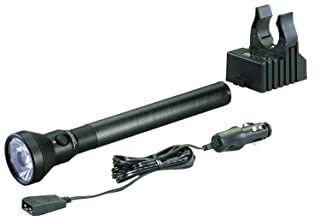 Built exclusively for patrol duty, it is such a compact rechargeable LED flashlight. 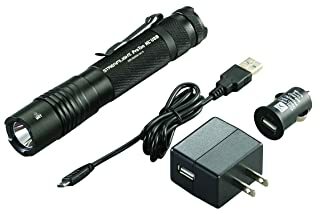 The flashlight is significantly powered by a rechargeable lithium-ion battery, and two primary 123A batteries as well. In the light of that, you will have a maximum output of around 600 lumens. As you know, Lithium batteries have higher energy density than usual batteries. In that case, using low-quality or counterfeit batteries may end up in disaster, I can guarantee that. Be careful! You have two option to purchase which are Pro Dual-output and Tactical Single-output. Sound exciting? You will be in love with it at first glance. It seems to be a little heavy in the front because of the big built-in Lithium-ion battery. The light is absolutely reliable. There is a small ridge between the tail cap and the body to assist you with grip. I am sure you can hold the flashlight stable in your hands. Not so fortunate, the strong tail cap spring on the Tactical version may cause wear on the battery terminal. In addition, after around 20 times testing in charging, I found it has a slow charge rate. Typically, you have to wait for 6 hours for a full charge. 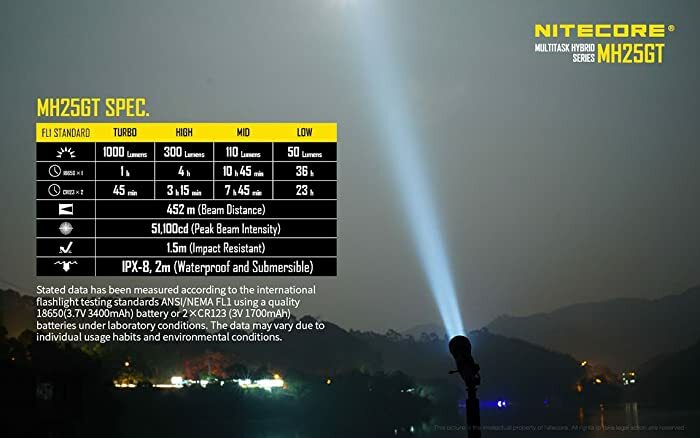 With the Cree XM-L2 LED, the P1R Provides a boost up to 600 lumens of the maximum output of a smooth and clean beam pattern. 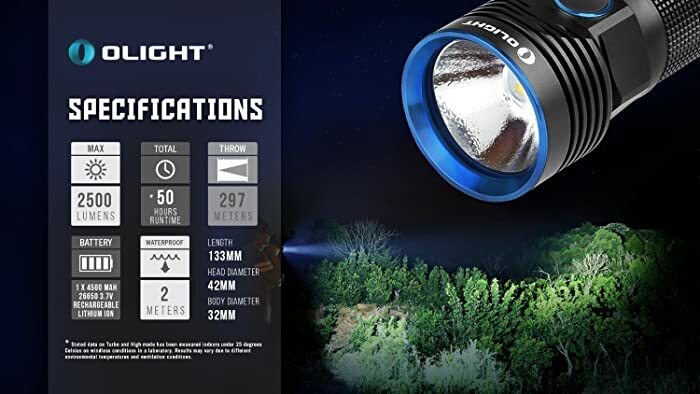 With this flashlight, you can glow a max output of 1000 lumens with a bright and focused beam which thanks to the premium CREE XP-L HI V3 LED. Just like the above one, you also have a high capacity 3400mAh 18650 rechargeable battery. Optimized for hiking, trekking, and law enforcement; you can see far as the reflector offers up to around 494 yards of distance. Lost your battery charger? Do not worry! It is built with a USB charging port onboard so you can easily charge your light whenever you want with any quality USB cable. Output at 1000 lumens can last for one hour. 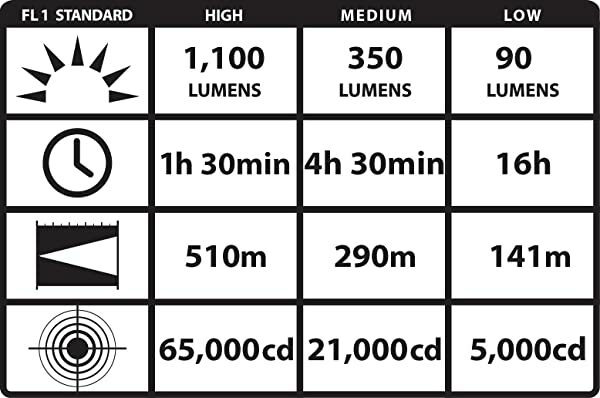 In contrast, output at 50 low mode of 50 lumen stays up to 36 hours. Even so, I still faced a problem in switching the mode. I have to admit this is quite cumbersome. It is delivered to you along with LumenTac AC & Car USB adapter, Charge the light from wall outlet, and in the car. The product features three programs: high/strobe/low, high only, and low/high. 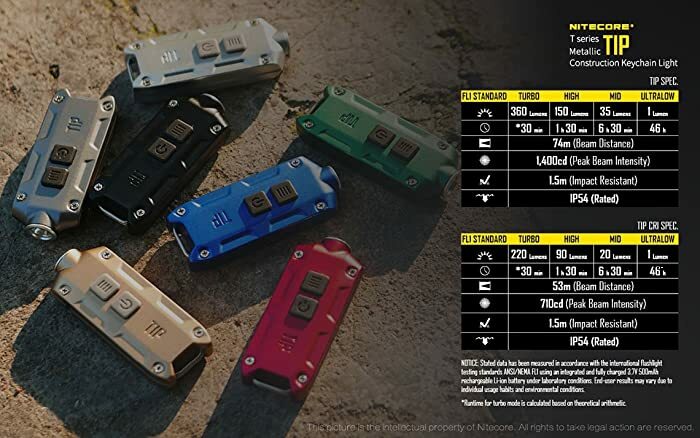 In detail, high mode provides 850 lumens (last for 1.5 hours) while medium mode provides 350 lumens. If you do not want the intense beam to extend using time, consider switching to the low mode of 35 lumens. It has a self-adjusting battery cradles to secure various battery size and get rid of battery rattle. 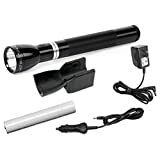 The flashlight uses a Lithium-ion battery out of the box as well as two 3V CR123 lithium batteries. Even though, a high-quality Li-Ion 18650 rechargeable battery can also fit the job. You have many options range from 50 lumens to 1100 lumens version. The options are different in lumens, battery, charger, USB port. 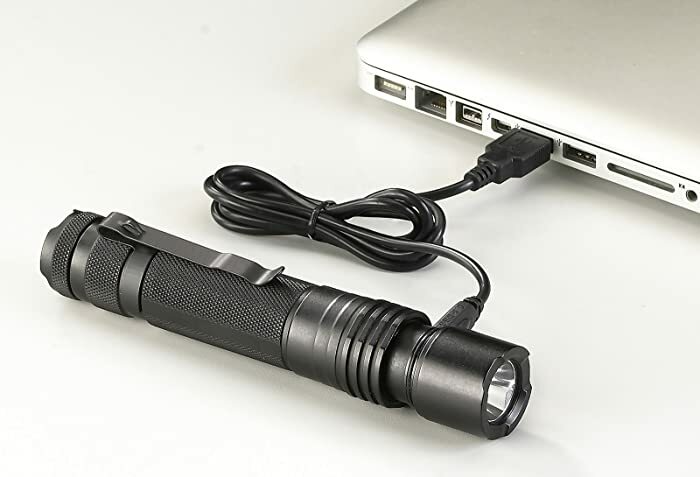 For purchasing the 850 lumens version, no battery is not an obstacle for this one since there is a USB port on it. You have a sliding metal sleeve to protect the USB port from water and dust. To be honest, I did not see anything to complain here, but many reviews stated that the issue, again, is the slow charging part, and the rolling. I know right? If the desk is in good shape, the flashlight may roll down when you do not notice. With the 850 lumens with charger option, there are the flashlight, USB cord, lithium-ion rechargeable battery, removable pocket clip, and tear-resistant nylon holster in the delivered box. With this flashlight, it features a mode called QuickClik™ which allows the quick access to all of the different modes. It including Full Power (643 lumens), Low Power (148 lumens), and Eco Mode (66 lumens). There are three additional functions sets for outdoor, law enforcement or Tactical. With each intention, you can invoke in a different sequence for the fast access to the prefer function. I tell you what. The lighting instrument is made in America. That is why it will be tough enough to last a long time before being out of use. I personally acknowledge the power beam of it. It is also important to state that the product comes with water-resistant (IPX4), drop-resistant and National Tactical Officers Association (NTOA) certification. Another key point is the diamond knurl design and anodized inside and out for improved corrosion resistance. What do I not like about it? 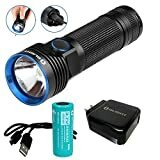 It is actually bulky, and heavy compared to other flashlights. After five months of using, the battery showed decreasing sign. 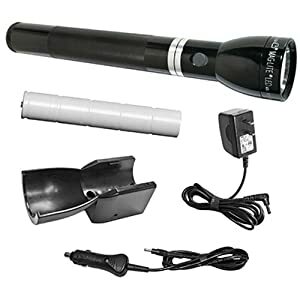 You have the flashlight, a MAG CHARGER LED Rechargeable Flashlight, Charging Unit, NiMH Battery Pack, 12 Volt DC Cigarette Lighter Adapter, and optional 120V Converter. Another high-lumen and long-throwing flashlight made its way to this list. The product is designed with custom, engineered optic. To emphasize, the C4 LED technology in it impervious to shock with a 50000 hour lifetime. High mode: 1100 lumens, 65000 candelas, great throwing with 510 meters beam, and 1.5 hours runtime. Medium mode: 350 lumens, 21000 candelas, throwing with 290 meters beam, and 4.5 hours runtime. Low mode: 90 lumens, 5000 candelas, 141 meters beam, and 16 hours runtime. Strobe mode: 3.25 hours runtime. I would describe it as a durable, anodized aluminum structure with non-slip rubberized comfort grip. With the price that it cost, we must ask for functions such as waterproof. Yes! It has IPX4 water-resistant, and 3 meters impact-resistant tested. This is the second time that there is no drawback from me, but from the online reviewers: dead light on strobe mode after one month. The package offers the flashlight, 5-cell, 6 Volt Ni-MH sub-C battery, rechargeable up to 1000 times, and ten hours steady charge, 2.5 hours fast charge options. If you are unlucky, the strobe function will stop working really soon. Then, you can use the warranty, I suggest. 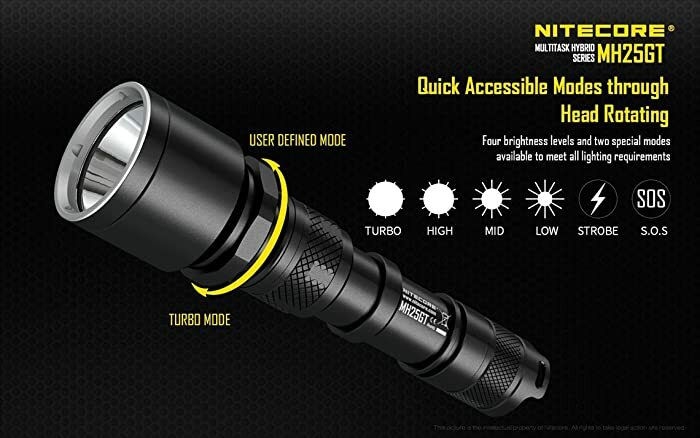 Key points of this product: bright, lightweight, innovative lights, and the Nitecore TIP. Despite being the cheapest one here, its bright is not so bad with 360 lumens which assist you to see over 80 yards. 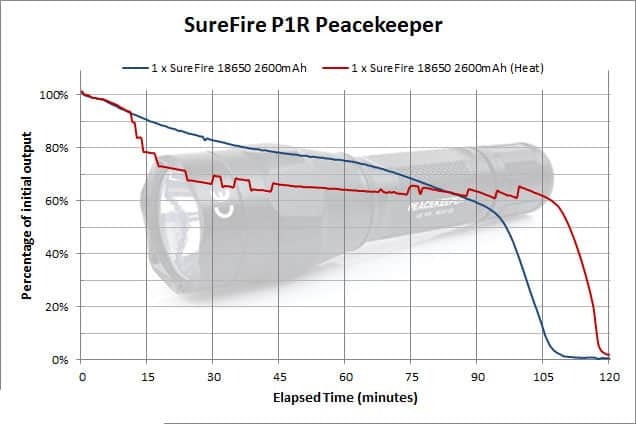 It is exceptionally lightweight: only 23.5 grams with the installed Li-ion battery providing 90 minutes at 150 lumens and over 46 hours on lower mode. You have the option for enabling single-handed operation with its dual switch form which separates on/off operation and mode switching with mode memorization. What does it need to improve? It will be at your door with the flashlight and one USB charger. The R50 can deliver a maximum of 2500 lumens in hand sized form factor. What makes it different from the others is the Cree XLamp XHP50 LED with an orange peel reflector for the outstanding light combination of range and width. It offers the side switch cycles through three brightness levels. The 1100 lumens output has a 50 hours runtime. 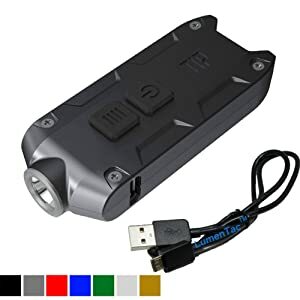 The 4500mAh rechargeable Lithium-ion battery goes with the flashlight and gives you a run time of almost four days of light on one charge at all. You will charge it via a Micro USB charging port located on the tail cap. Everything is perfect until one day; I switched from Turbo to the High mode, and after 5 minutes, the light started to get too hot to hold. I still have no idea what is wrong with it. Not to mention, the activation switch can be hardly pressed while wearing gloves. It has IPX8 feature. As a result, you have nothing to fear using it under 2 meters water. With this in mind, you may use in multiple occasion like law enforcement, camping, hunting, trekking. The market is filled with many models, and give you a hard time to pick a good one. Luckily, follow the next four key points, I strongly believe you can make up your mind at ease. It is very simple. The flashlight’s battery can be recharged. That is it! People started to know that the replaceable option of batteries is much of a hassle and wasting money. Not so much time after that realization, we have rechargeable batteries. Then, they create light with USB port or port which can be charged everywhere you want without battery. 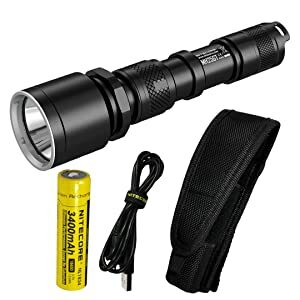 Until now, the rechargeable function can be found in various flashlights which means even Police flashlights, EDC flashlights, 18650 flashlights that have the rechargeable function can be called a rechargeable flashlight. The rechargeable flashlights are very affordable without luxury options. It is true that it cost more expensive than a traditional flashlight, but in the long run, it saves you the money. My point here is you should know how much money you have to buy one. That is pretty much an important factor here. I am honest with you. After having numerous testing on flashlights and seeing how they work in real life. Trust me; there’s no standardized process across the board for measuring the lumens. Do not put all your faith in the numbers on the labels; it may be correct or wrong. What I am trying to say is that you have to try them in real action. It is your right to test some lights before purchasing some. If you do have time to test, find a review (like this article) on the internet to have a closer look at your choice. You have to agree with me now. It is frustrated to recharge b or even phones after a short period repeatedly, right? Choose the one with the high-quality battery can save you much time and free you from getting angry. These are types of rechargeable flashlight batteries out there to choose: 10180 battery, 10440 battery, 14500 battery, 16340 battery, 18650 battery, 26650 battery. Given these points, you now have everything you need to decide which is the best rechargeable flashlight on your own. Testing so many flashlights with their own specification such as battery, light, durability was surely quite a hard job. But hey! I did try all I can gather to help you guys with the precise information. What is wrong with each product and what is not. You have them all. Since the informative stuff is based on my personal review, I would love to receive your suggestion on any improvement for this article. Thank you for reading.